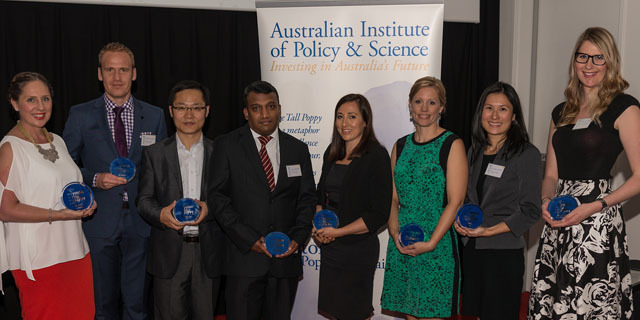 The prestigious annual Young Tall Poppy Science Awards aim to recognise the achievements of Australia's outstanding young scientific researchers and communicators. The awards recognise and celebrate Australian intellectual and scientific excellence and seek to encourage young Australians to follow in the footsteps of our outstanding scientific achievers. Dr Van Rheenen's research is focused on understanding the characteristics of bipolar disorder. She looks at the everyday social activities people engage in and how they respond when confronted with an emotionally evocative situation. This relates to the ability to rapidly use attention and memory to recognise the emotional expressions of others and subsequently integrate this non-verbal information with the surrounding context. For people with bipolar disorder, these thinking skills are impaired and Tamsyn's research seeks to understand these impairments and why they occur. Using a combination of research techniques that measure brain activity, behaviour and the influence of genes she can investigate their underlying causes; whether they are heritable and how they influence the everyday functioning of people with bipolar disorder. It is hoped that this research will provide further insight into the symptoms of the disorder, enable the identification of people at risk for it, and lead to the development of better treatments for people who experience it. Dr Riggs' program for refugee and migrant health research has grown to span multiple health sectors including dental, maternal and child health and maternity services as well as the education and settlement settings. Her work focuses on refugees who have been forced to leave their homes to escape human rights abuses. These populations also experience increased risk of a range of physical, mental and social health problems related to experiences of extreme deprivation, trauma and stress associated with settlement in a new country as well as high rates of persistent poverty. Many healthcare services are not equipped to respond to the diverse cultural and language needs of refugees. Elisha's research aims to support decision making about government policies, program design and service delivery, through strengthening and providing new knowledge in the area to improve the health of refugee and migrant families. As a result of Elisha's research, a state-wide policy has been created to enable refugee and asylum seekers to access public dental services for free. Dr Jenkins' work focuses on the area of cytotoxic T lymphocyte biology and she has made a number of critical discoveries on how the immune system controls cancer and rids us of malignant cells. She uses highly innovative live cell imaging and confocal microscopy to define how the immune system rids the body of virus infected or transformed target cells. Imagine our immune system as a powerful weapon against cancer with white blood cells travelling around our bodies to seek and destroy cancerous cells in a rapid and efficient way. After recognising a cancer cell, the killer cell attaches to it and delivers a toxic "kiss of death", before detaching and then seeking out more cancer cells, making them serial killers. Sometimes cancer cells are hard to kill and this causes the killer cell to stay attached to the cancer cell, like a magnet. Sometimes this killer cell needs to call for "back-up" from the immune system, releasing chemicals to send messages to other immune cells, resulting in too much inflammation. Misty's project will discover how killer cells know it is time to detach from a dead cancer cell. This work will help lead to a deeper understanding of immune diseases and new ways of treating cancer. Misty is of Indigenous descent and a major contributor to Indigenous affairs including governing boards and shaping federal policy. She is also an ambassador for the Melbourne Poche Centre for Indigenous Health.